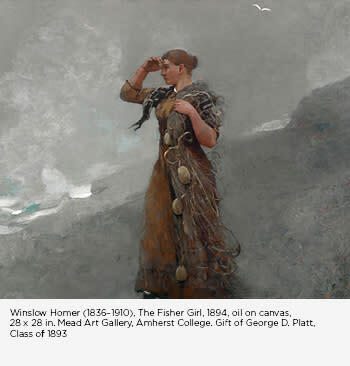 This fall the Brandywine River Museum of Art will present Winslow Homer: Photography and the Art of Painting, exploring the surprising role photography played in the evolving practice of one of America’s most iconic artists. On view November 17, 2018 through February 17, 2019, the exhibition will feature approximately 50 paintings, prints, watercolors and drawings from all major periods of the artist’s career, as well as a comparable number of photographs collected by Homer. As a young artist for Harper’s Weekly during the Civil War, Homer utilized photographs as source material for some of his drawings, including Alexander Gardner’s famous photograph of Lincoln’s first inauguration—which provided Homer with the pictorial information he needed to construct his own detailed view of the event. This exhibition documents Homer’s post-Civil War travels to newly popular tourist destinations such as the White Mountains of New Hampshire, the Catskills and Adirondacks of New York, and Cape Ann in Massachusetts. In his travels he was introduced to a new type of photography—commercially produced views to promote tourism. These photographs captured a moment in time and effects like glare, blur and shadow that the eye might not perceive. Homer quickly understood that photography could provide fresh, immediate perspectives that he could incorporate into his paintings. 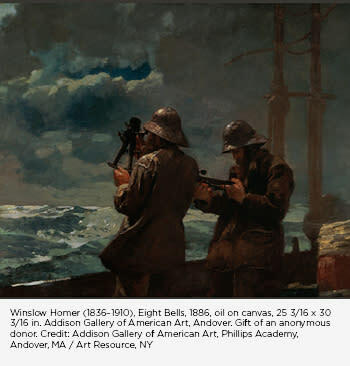 Make the Brandywine River Museum of Art and Winslow Homer: Photography and the Art of Painting part of a weekend escape to Wilmington & the Brandywine Valley. It&apos;s closer than you think and filled with history, culture and gardens. Plus, Delaware is always tax-free. Get your free visitors guide today and start planning.